they are given opportunities to practice using money and to talk about these experiences. Adults share the responsibility of helping youth and young adults learn how to manage their finances well. Conversations with adults help young people understand the importance and power of money management. Talking about money can be tough. We tend to have all kinds of values, mixed messages, emotions and more tied to our money conversations. For some people, the last kind of talk they want to have with family is "the money talk." We tend to avoid the topic. Unfortunately, this means our children may not be as prepared to handle their finances when they're adults. When Millennial young adults were asked what they wish they had been taught about finances, one of the top themes was more open communication with their parents. In LeBaron and associates' study (2018), Millennials expressed that they wished their parents had facilitated sit-down lessons or family councils to discuss their family finances. As a parent with Millennial adult children, I remember how hard it was to create an opportunity for "sit-down lessons." Yet, the importance of these conversations encourages us to all try – whether they're sitting down, in the car, or while you do a household chore together. Research indicates that typically parents are the most important influence on a child's socialization, including financial socialization. A big part of this socialization is what our children see us do. Much of our financial tasks are done electronically so there's less to see; another reason for more talking and explaining! The other two main components of socialization are making rules about children's financial behaviors and engaging in direct conversations about money. The research clearly supports the need for youth to practice financial behaviors like earning, saving, and spending while under an adult's guidance. Youth need the chance to make mistakes, and learn from these experiences. Youth also need to have a chance to talk with an adult about their decisions – both the good and not-so-good decisions. These opportunities to practice with money and have money conversations lead to positive financial attitudes and behavior when the youth become adults. 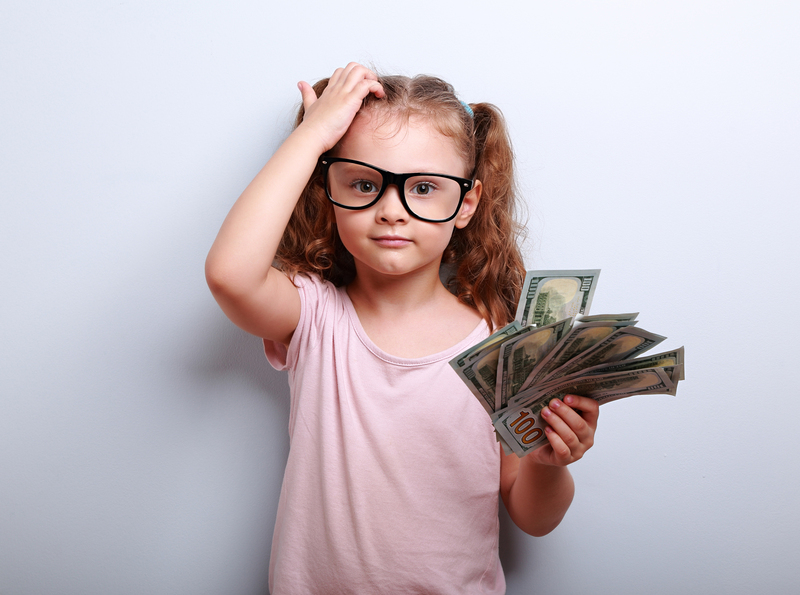 It's easier to learn from small mistakes while a child rather than make large financial mistakes as an adult. Researchers Kim and Chatterjee (2013) looked closely at childhood financial socialization and the impact it had on how young adults managed their money. Their research suggested that if a young adult did not have an allowance as a child (or the opportunity to practice with finances), then they were more likely to worry about money. In addition, a young adult who had a savings account as a child was more likely to have assets as a young adult. Along with more communication, the Millennial young adults in LeBaron's study wished they had been given more financial responsibility. For example, they wished they had a chance to get a job and save for their own purchases. In other words, an opportunity to practice financial behaviors when the risks are small. Millennial young adults also wished their parents had taught them more practical knowledge such as how to budget, how to file taxes, and how to wisely save and invest money. Clearly, some of these topics are more suitable for young adults than for children. Financial education is a lifelong process, and parents, grandparents and other older friends/family may want to look for opportunities to have conversations about these topics at timely moments. Money Conversations Starters for Parents & Children, from University of Minnesota , provides some easy ways to start conversations. Try them out. You may find that these questions lead to more in-depth conversations, and make it easier for youth to ask you questions about money too. Start the money conversation today by sharing your saving goals with a young person in your life. Set your savings pledge at America Saves.